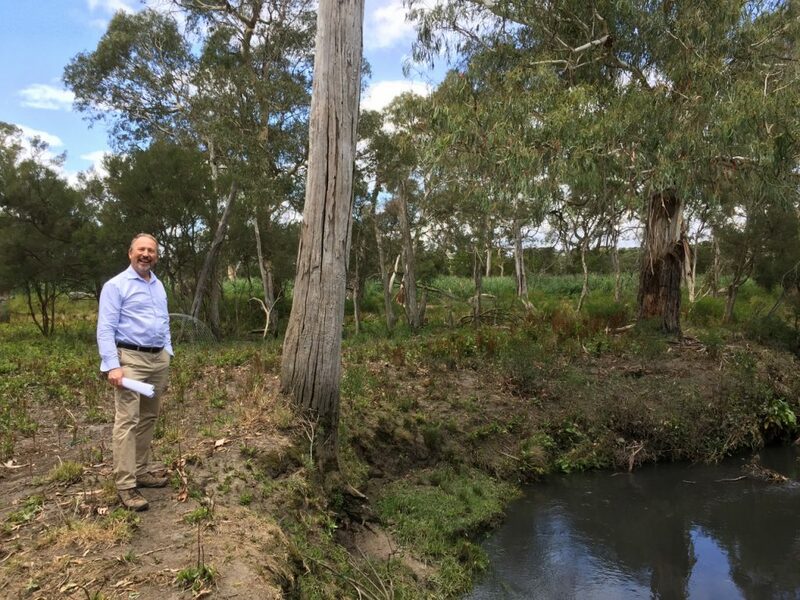 We are excited to welcome the City of Whitehorse as the latest delivery partner in our Transforming the Dandenong Creek project, meaning that all six councils bordering the Dandenong Creek in the 22km section we’re working in (between Heathmont and Dandenong North) are now on board. The project site at Whitehorse is an interesting one. 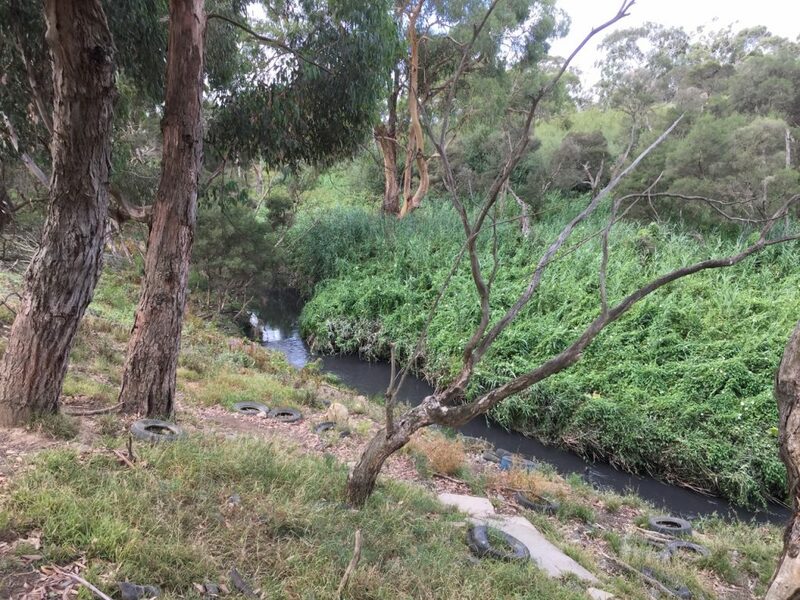 Situated along the Dandenong Creek near the Whitehorse Recycling and Waste Centre in Vermont South, it was previously referred to by locals as a “weed-infested snake pit”. 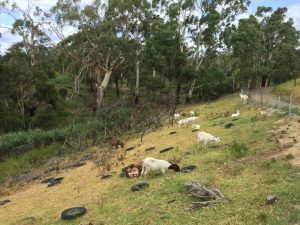 However the City of Whitehorse and Melbourne Water have been working hard to clean it up – and they’ve been using an unusual method: goats. The goats have done an amazing job clearing back thick weeds that choked the land all the way to the water’s edge. It’s now possible to see the ground and imagine what the site could look like in future. According to Whitehorse Council’s Environment and Education Team Leader, Ian Moodie, “the goats have exposed the canvas; now it’s time to paint a picture on it”. 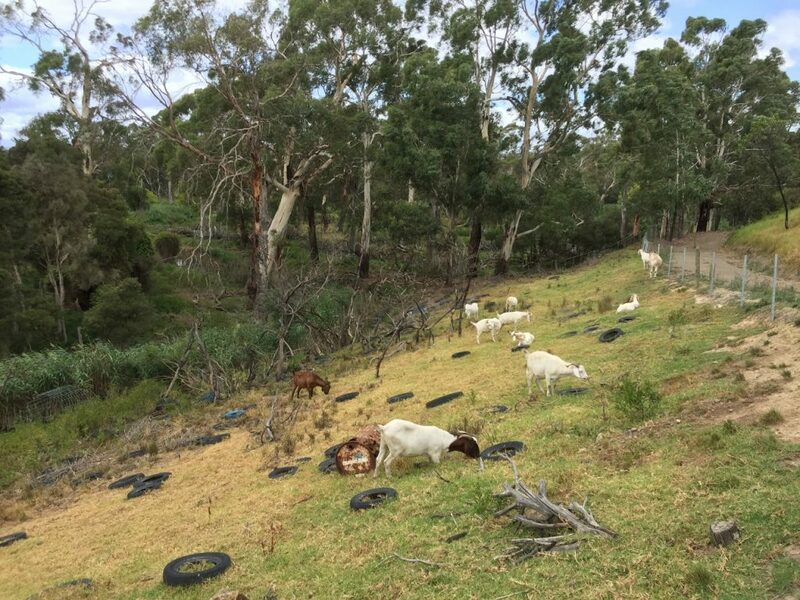 Over the next 15 months, the Living Links grant (with funding from the Victorian Government) will fund further weed control (including weeds that are too high for the goats to reach, or not palatable to them) and extensive rubbish removal, including dozens of tyres. This will pave the way for revegetation to start restoring the native vegetation, which will improve biodiversity values and amenity. The site already has a number of large old trees, giving restoration efforts a great head-start. The only problem is that once the weeds are gone, the goats will need to find a new home! The goats have done a great job clearing back the initial thick weed infestation. This photo shows what the site looked like before the goats were introduced: the closer bank has been grazed by goats but the far bank has yet to be tackled. Tyres are visible now that the weeds have been removed. Whitehorse Council’s Environment and Education Team Leader, Ian Moodie.